The celebratory event kicked off with a catered lunch provided to employees, followed by individual recognition from both DTNA and GTC leadership. Gordon Truck Centers, Inc. CEO Scott Gordon praised the Coburg team for their significant improvement of customer throughput and for maintaining cleanliness and order throughout the dealership. Chief Operations Officer, Pat Gendreau acknowledged the team’s early adoption of important service enablers that aim to improve service operations and customer satisfaction. 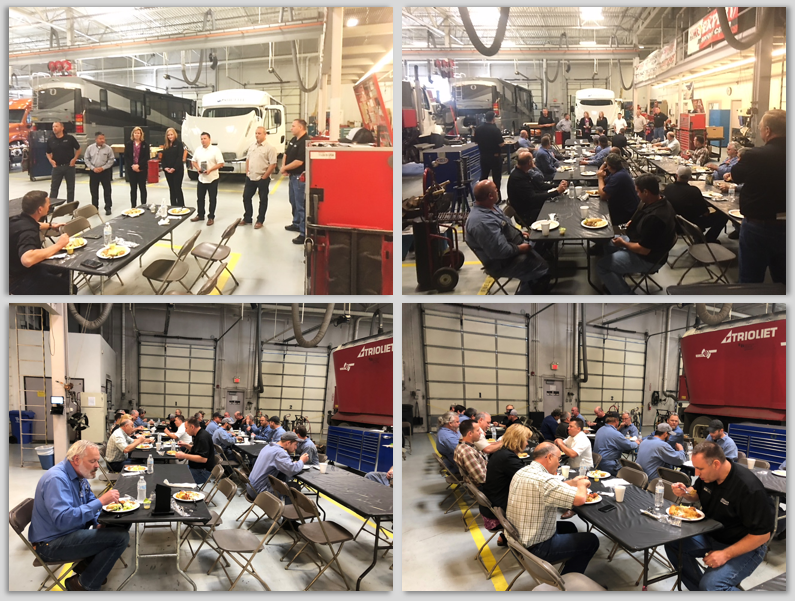 Parts Director, Chris Michlanski went on to discuss and congratulate the team for their efforts and accomplishments on important internal process initiatives such as integrating the parts call center and better utilization of rim pro. The call center was adopted in 2017 to alleviate customer hold times when inquiring information about parts. 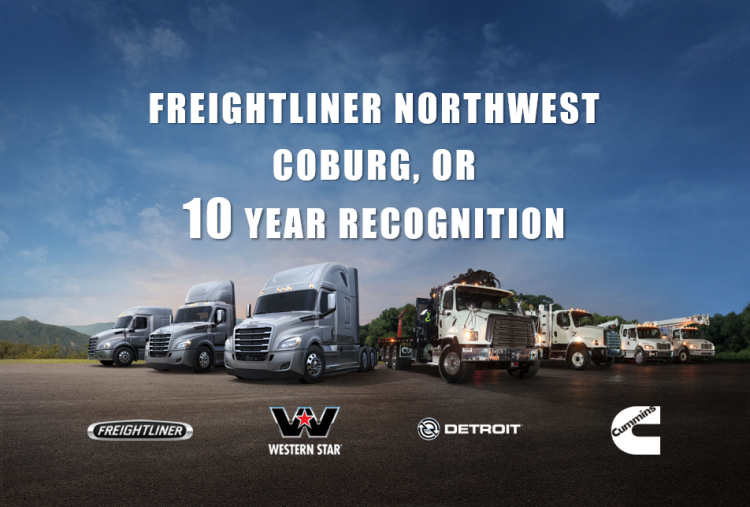 “The willingness of the Coburg team to embrace our company’s continuous improvement culture have played an important role in our truck sales success,” said Doug Wakefield, Executive VP of Sales. Pat Pineda, Senior Manager Western Region Parts Sales, Michelle Derbyshire, Business Development Manager and Chryssa Hunlock, District Service Manager from Daimler Trucks North America additionally recognized the achievements of the Coburg, OR branch and congratulated the team on their efforts and future potential.